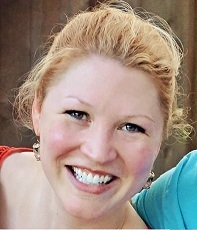 Tess Anderson has been a member of the Writers’ League of Texas for over a year. She makes her home in Austin Texas. Tess Anderson: I write fiction/memoir. I like to write short stories, and am in the process of putting some of those stories together in order to make a novel… which may end up just being a short story collection. TA: I don’t drink coffee or beer. However, I would love to have tea with Amy Tan and/or J.K. Rowling, a soda with Suzy Spencer. If we’re talking “living or dead” I would love to have any kind of cocktail with F. Scott Fitzgerald, Dorothy Parker, Ernest Hemingway, and Kurt Vonnegut. TA: I am terrible at the “stranded island” game because I am terrible at choosing. I find it incredibly hard to pick one, but I might go with The Liar’s Club or something else by Mary Karr, since her novels are set in the area where I grew up. I think the familiarity would help me cope. TA: From the Writers League, I have learned that there are a lot of writers here in Austin, and that there are a lot of resources. TA: Hopefully my writing will keep taking me on the paradoxical simultaneous journey both inward and outward. I’d like to publish either a novel or a short story collection. TA: I have lots more to share the world, but the world will have to wait until I’m finished drafting and editing! Tess Anderson, you buy the Diet Coke, and I’m there!